If you’ve got a small brood, you may just be in the market for the best family cars for 3 kids. Relax. It isn’t as difficult as it sounds, since there are many very safe, affordable and attractive cars that may work for you. As parents, your first priority should be safety. That’s why we’ve selected only cars that have earned Top Safety Pick status from the Insurance Institute for Highway Safety (IIHS). We’ve also chosen a few from different categories, since not all family needs are alike. Although we concentrate on a select few, we do mention others that are equally safe and could be in your consideration set. 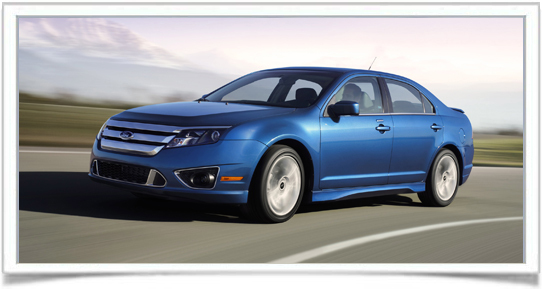 than the outgoing model, and carries one more family-friendly enticement: it’s priced less than the 2011 model. 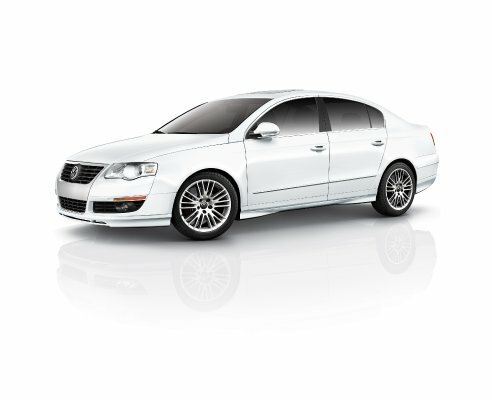 Starting price for the 2012 Passat 2.5L is $19,995. Power comes from a 170-horsepower 2.5-liter four-cylinder engine paired with five-speed manual transmission. Features include 16-inch steel wheels, automatic dual-zone climate control, power locks and windows, Bluetooth connectivity. A full complement of safety technology is standard, including six airbags, electronic stability control (ESC), anti-lock braking system (ABS), engine braking assist and hydraulic brake assist, hill-hold control, and tire pressure monitoring system (TPMS). a 2.5-liter Duratec in-line four-cylinder engine mated to a six-speed manual transmission, the Fusion I4 S also achieves an EPA-rated 23 mpg city/34 mpg highway fuel economy. Six airbags, electronic stability control (ESC), traction control and ABS are standard, as are cloth bucket seats and 16-inch, 10-spoke aluminum wheels. Trunk cargo capacity is 16.5 cubic feet. Other midsize affordable sedans to consider include the Hyundai Sonata, Kia Optima, Chevrolet Malibu, Chrysler 200, Dodge Avenger, Audi A3, Subaru Legacy and Outback, Volkswagen Jetta sedan and Jetta SportWagen, and Volvo C30. storage space as well for all the gear you’ll need to haul along. 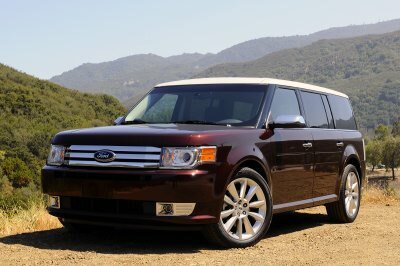 Smaller than a traditional minivan, fun to drive, economical, fuel-efficient, and affordable (if you don’t tack on loads of options), the 2012 Ford Flex midsize crossover may be just what the family needs. Starting price for the 2012 Ford Flex SE is $29,355. Other midsize crossovers/SUVs to consider include the Chevrolet Equinox, Dodge Durango and Journey, Ford Edge and Explorer, GMC Terrain, Hyundai Santa Fe, Jeep Grand Cherokee, Kia Sorento, Subaru Tribeca, Toyota Highlander and Venza. Sometimes you really do need the spaciousness of a minivan. But today’s minivans, especially the Honda Odyssey and the Toyota Sienna, are anything but boring. Think of toting three kids in car seats, plus strollers and gear, or carrying nearly-grown children and their friends, with all sorts of paraphernalia. Or shopping for groceries, back-to-school items, or going on a family outing. You need space, but you don’t want to sacrifice anything in the way of creature comforts. Both the Honda Odyssey and the Toyota Sienna offer everything you could want or need in best family cars for 3 kids. And they are also reasonably priced: the 2012 Honda Odyssey starts at $28,225 while the Toyota Sienna is priced from $25,060 (2011 model). Great information! Very useful and impressive, I will be looking to participate in the discussions if you guys are looking to discuss this thread further. Have fun getting a baby carrier + two boosters in the back seat of a Fusion. It can be done, but only barely. Better choice is a Taurus.